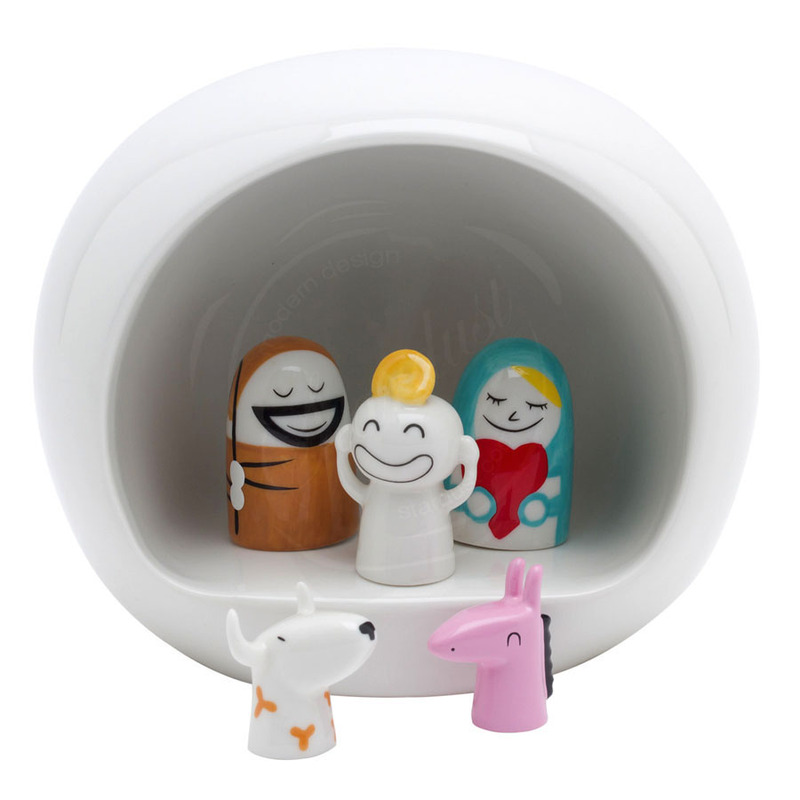 Looking for a modern Christmas Nativity Set? 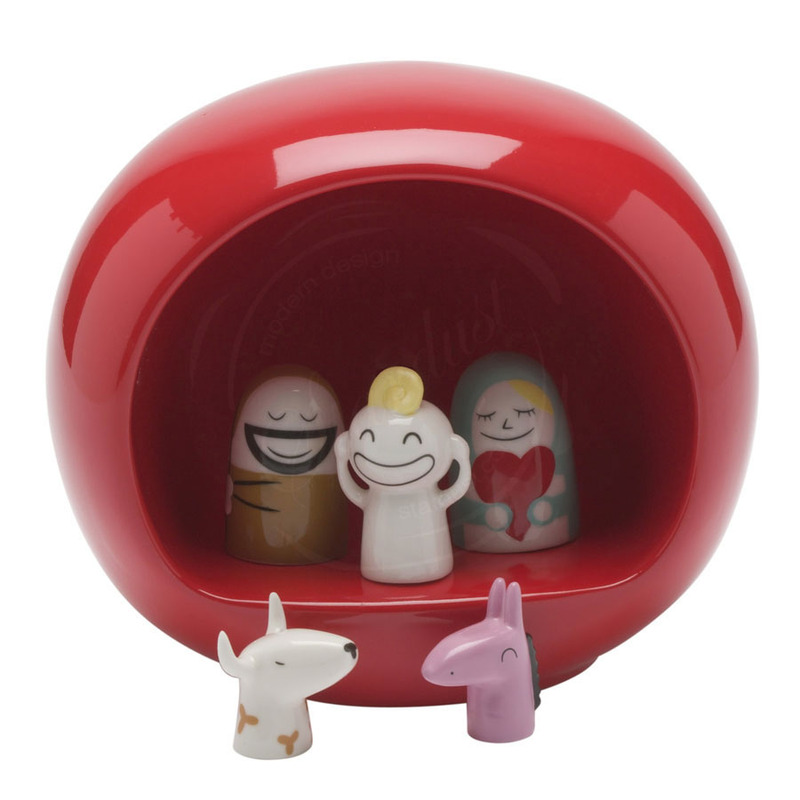 Check out this amazing Manger with Figurines from design house Stardust's modern Christmas collection. 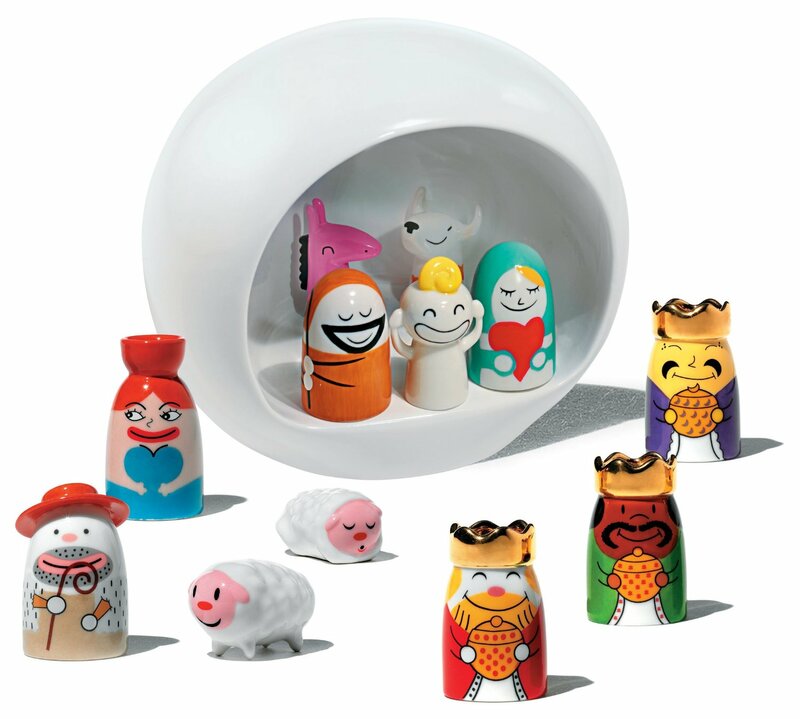 The Alessi Presepe Nativity Set is made with handcrafted porcelain and comes with all figurines as pictured. Available in various finishes including white, red or gold. 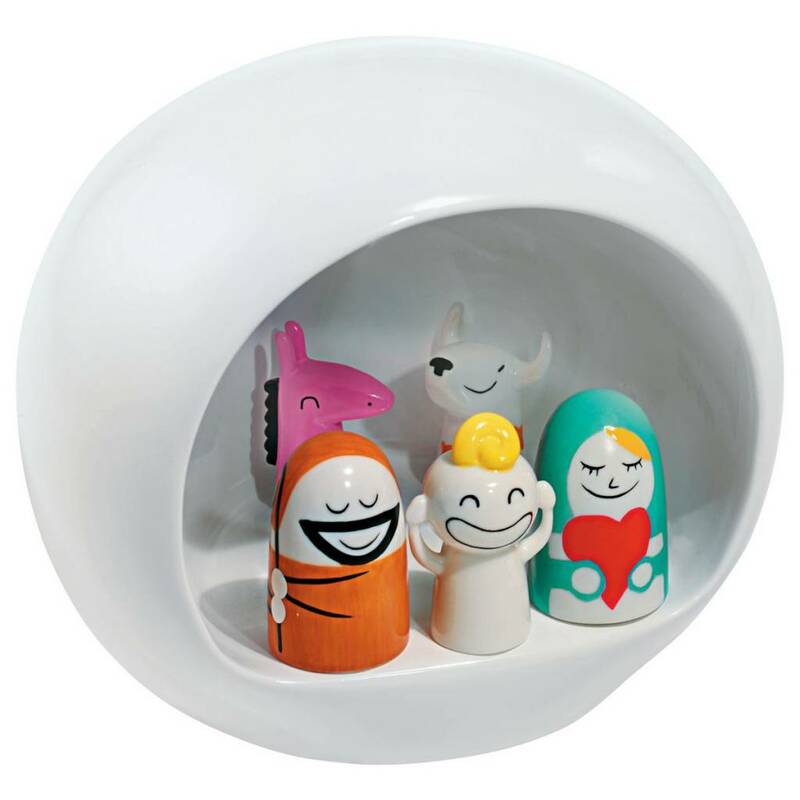 This is Italian homeware firm Alessi's take on a nativity crib. Alessi Presepe Christmas Modern 6pc Holy Family Nativity Set. This beautiful porcelain set features six pieces and measures 6 by 5 by 5 inches and is sure to make a wonderful gift! Porcelain group. The Figures project marks the first public appearance of a design direction begun in the 1990s. The project is a dialogue with the intriguing world of porcelain figures, and especially with the refined tradition of European manufactured items from the eighteenth century onwards, in Alessi's style and using contemporary artists. 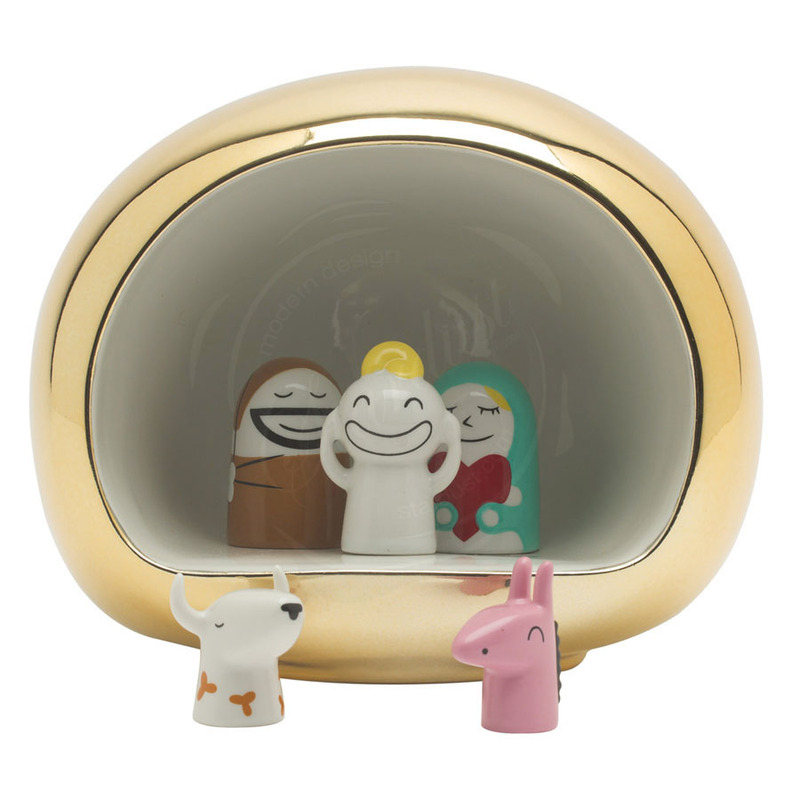 This little shooting star in gold is "Stella Stellina"
The Presepe crib is an amusing, little Christmas Highlight by Italian manufacturer Alessi! With this Presepe crib the designer Massimo Giacon devoted himself to the wonderful Christmas season and designed an original, sympathetic, and colourful Christmas decoration for living rooms, dining rooms, and any other room that can use some festive decorations. A different take on tradition! 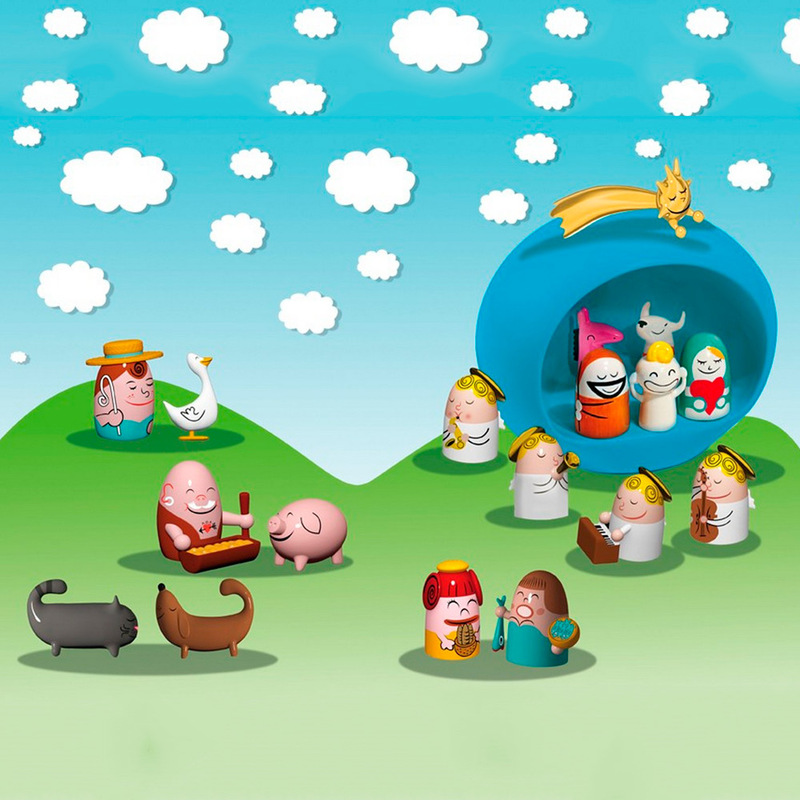 The crib and figures are an great alternative to the traditional nativity collection and are collectable. This product is likely to retain or increase its value in the long term. Required for any Alessi fan. “Merry Christmas” – the phrase has been taken literally here, and is the inspiration behind this magical porcelain nativity set. 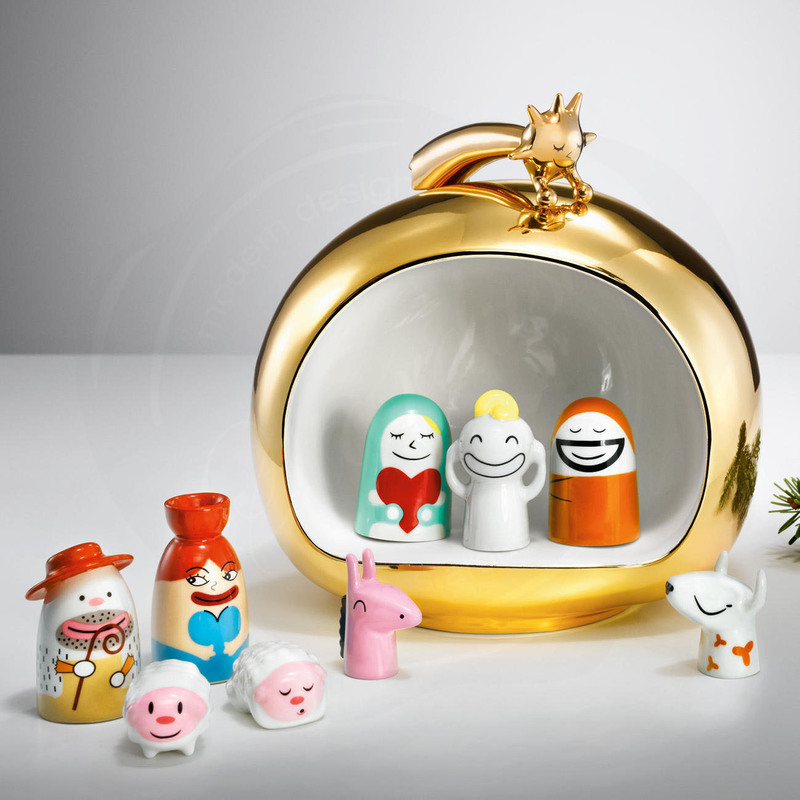 Each figurine reflects the humour of the internationally renowned comic artist and illustrator Massimo Giacon (born 1961). Thus, he has given the traditional nativity scene a new, friendly face. And the result is most charming. The press is also impressed: “A reinterpreted tradition that definitely belongs under the tree”, said the German decorating magazine “Schöner Wohnen” (June 2012), for example. Each piece is hand-painted and unique. Additional sets can be purchased to turn the stall into a complete Christmas story. With precious gifts and magnificent apparel, the 4.8cm (2") tall Three Wise Men pay their respects. Meanwhile, the Camel Driver arrives in an elegant white burnouse – naturally with a camel in attendance (each 5cm/ 2" in height). The Musical Angels with their guitar, trumpet, piano, saxophone, drum and harp (each 5cm/ 2" in height) play a happy serenade. All figurines should be washed by hand. Made in Italy. Carefully fired at up to 800 °C, the porcelain takes on a glossy surface, which is extremely hard and resistant to cracks and craquelling. Each figurine has been lovingly decorated in bright colours in line with traditional porcelain painting: Carefully done by hand with brush and paint, rather than with ready-made decals. As such, each figurine is slightly different, resulting in unique individual pieces. The stall, with its 10 humorous figurines, is a must for Christmas. 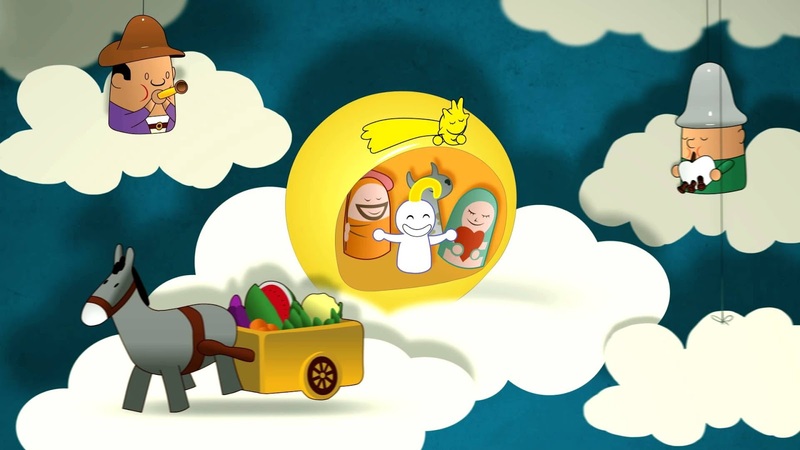 The Christmas Nativity is a complete set: The stall, which features a glistening gold exterior and a porcelain-white interior, provides a perfect stage for the holy family – whilst its spherical shape also offers protection from the weather and danger. Mary and Joseph smile with satisfaction standing next to Baby Jesus, whilst oxen and donkeys look on in curious amazement. The golden comet beams as if it had just happily landed on the roof. A shepherd and his wife wait outside the stall, along with 2 sheep from their herd: One is standing and one is lying down. The stall measures approx. 16 x 13.5 x 13cm (6 1⁄5" x 5 1⁄3" x 5") (W x H x D). Figurines approx. 4 to 9cm (1 1⁄2" to 3 1⁄2") in height and length respectively. The complete set weighs approx. 1.5kg (3.3 lbs).